You are sitting at your kitchen table sipping a cup of coffee with a bored look on your face. This is an all too familiar scene in the middle of winter when it is too cold to do anything outside. You are stuck indoors again, and you don’t feel like watching television, listening to the radio or staring at a computer or iPhone screen. The local radio stations have been playing way too much Ed Sheeran, you have seen everything Netflix has to offer, twice and you are quite sick of checking your Facebook thread on your iPhone. You need some ideas on how to stay busy during this time of year. Let’s face it, the cold, snow and short days are fine through the holiday season, but after Christmas, we get bored all too fast. 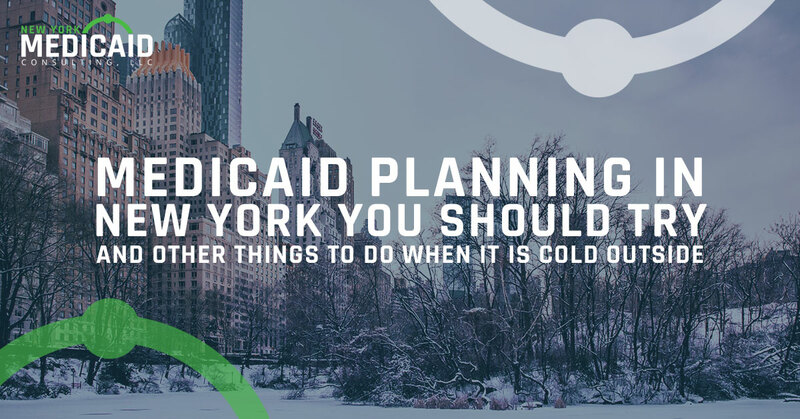 New York Medicaid, your Medicaid planning source, offer these tips on what to do when it is too cold outside. When it is in the single digits outside and blowing snow, torture yourself for a few hours by dreaming about the warm cities you could be living in at this very moment. In fact, torture yourself even more by searching these cities on the internet and viewing pictures of their warm features. For example, check out pictures of Sarasota, FL with its beaches and palm trees, or Delray Beach with its hip vibe and warm temperatures. How about Tucson, AZ where it is about 60 degrees warmer than where you are right now. You could also dream about Miami and all of the celebrities who live there and live a glittery lifestyle. Oh, and they are warm too. San Diego is considered by many to have the nicest climate in the United States, which is something to think about while your feet are cold and ice is forming on the inside of your kitchen window. If you lived in Savannah, GA right now, you would be enjoying a balmy sea breeze and gracious southern architecture. There is no better time than the present to get excited about your summer vacation. Check out all of the places you would like to visit this June and plan your future getaway while you have nothing better to do than count snowflakes. And think about the fact that almost anywhere you go this summer will be warm and cozy. The great thing about breakfast is that you can eat it at any time of the day. We know this to be true because places like IHOP and Perkins are open all day. Crank up a few burners on the stove and make some French toast, bacon, eggs and pancakes. That’s right, it’s perfectly acceptable to have both French toast and pancakes for breakfast. If you are whipping up some breakfast in the evening, you might want to brew some decaffeinated coffee so you aren’t awake all night. If you stare at the snowflakes coming down while wrapped up in a flannel blanket, there is little doubt your eyes will get heavy and you will be overcome with the urge to sleep. This is especially true if you just ate a huge breakfast with both French toast and pancakes. The best thing about taking a winter nap is that you don’t have to set the alarm and you have this cozy feeling that helps you fall asleep. You must assume that it’s beer-thirty somewhere in the world right now, so go ahead and make yourself a cocktail. If you are feeling chilled, whip up a delicious hot cocktail to warm your insides. Enjoy your personal happy hour and if things start to get out of hand, cut yourself off and take a nap. You don’t need to have the grandkids over to make an indoor fort, you just need to feel a little adventurous. Transform your living room into a fun fort using blankets, pillows and chairs. Don’t forget to bring a flashlight and pack some picnic food for the occasion. If you are still at a loss as to what to do in a cold winter’s day, call New York Medicaid Consulting for Medicaid planning and asset protection.